Back pains are among the most common complaints in physical health of people of all ages of all time. 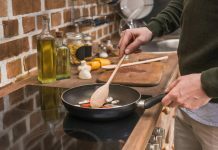 It has been mostly associated with old age but the truth is, we all experience back pains in some levels. Many equipment have been invented to ease back pain along with supplements and prescription drugs. But the problem is, these were created only to soothe the pain and not really to cure what’s causing it. Experts in inversion therapy believe that the use of inversion tables could help correct spinal problems that cause back pains. One concept behind this innovation is that gravity is constantly putting pressure on our muscles and bones. It is inevitable that they get strained. Inversion tables help by releasing that pressure by putting your body in an upside-down position to relax the bones and muscles, and return them to their original state. Some therapists also recommend it to those with more serious back problems. It is also know to have other benefits like in the promotion of healthy blood circulation. In this guide, we will take a look at how these inversion tables work, their best uses and possible problems you might need to watch out for. Now that you know the important things to consider in choosing an inversion table, here are some of the top products that you can compare. Please be reminded that this guide and any suggestions given here should not be used to substitute medical advice. If you’re experiencing serious back pains, we highly suggest that you see a doctor. You may also benefit from inversion tables but may still need to use it in conjunction with other forms of treatment. If your doctor or therapist recommended inversion therapy for you, you may find a lot of useful tips here. With caution and a little bit of research, you can try inversion therapy at your own initiative and you may find it very helpful. Now that you know the concept behind inversion the therapy, it is easy to grasp how the inversion tables work. It is really simple. It is usually a padded table, used as the backrest, on a tabular steel frame. This can invert up to 180 degrees. There is a strap at the bottom for your feet which will be used to hold your weight as you go upside-down. There are more advanced features in other sophisticated models. While your body is in the inverted position, the pressure or the stress in your muscles, bones and joints caused by gravity is released. This decreases the ache and is said to remove it permanently after regular use. Aside from decreasing back pain, what other benefits can you get from using an inversion table? Here are some. We were told that it is hard to correct posture when we are older. This is correct. But inversion tables can help realign your spinal column and improve your body posture. Regular use of inversion the table helps in the recovery of damaged spinal discs and natural disc degeneration. It also helps in improving your blood circulation. When your body is inverted, your blood flow increases. 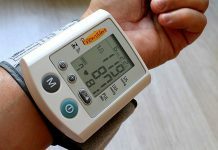 When your blood flow is stimulated, it also relieves pains and has an overall positive effect on your daily activities. As we grow older, our height becomes affected due to the said stress or pressure in our spines naturally caused by gravity. Regular use of inversion tables can help you maintain your height. It aligns and strengthens your spinal column. Those are some of the other benefits you can get from inversion tables. Some models that have special features also help in other health issues. As one might imagine, your biggest concern is most likely the risks involved in using an inversion table. Are they dangerous? We mentioned earlier that you should consult a doctor if you have serious back complaints. That is right. But you can be assured that there have been no official study to date that concludes inversion therapy as harmful to the body. In fact, it works in treating most cases of back pains. But the idea of being suspended upside-down can be threatening. The important thing is to make sure that the equipment comes with strong straps and durable frames and you should be fine. Cushions, memory foams and ankle foams also help to keep you comfortable in the process. 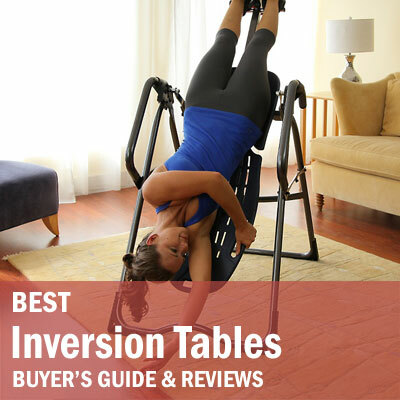 So how do you choose the best inversion table for you? If you have decided to give it a try and don’t know which model to get for starters, here are some things to consider when buying an inversion table. Always check the weight capacity of an inversion table. If you are heavier, make sure that the frames and the table itself is durable. Typical inversion tables can hold up to 300 pounds but some models are built for heavier weight, up to 350 pounds like the Ironman Gravity 4000, great for athletes and body builders. The best inversion tables allow you to hang and stretch from different angles. This lets you work on the specific parts of your body that may need special attention. You would expect to be in that position for at least a few minutes so make sure that it has a comfortable backrest. For added safety it would be nice if the frames of the table have skid ground stabilizers to prevent the table from sliding. Go for the most durable construction. Steel frames are strong and they last longer. Many of our buying guides encourage customers to keep from purchasing the most expensive brands just for the name. But in the case of inversion tables, it would not hurt to invest in an expensive model. Safety should be a priority and the most durable ones are always the most expensive. Today, you have access to what other consumers are saying about a product through the internet. Take advantage of that before buying an important item. Read customer reviews online or better yet, watch video reviews that show a demonstration of how the table works. Watch out for common recurring issues that you might see from other users. Check if the table can be folded and how as it is to store, especially if you have limited space in your home. You might want to steer clear of those with flimsy looking parts as they may not endure the process. It would also be nice if your inversion table is well designed if you expect guests to see it in your home. Another factor you must consider in choosing an inversion table is the setup. You are going to entrust your body and safety to this equipment so make sure that have installed it properly and the parts are where they are. Some include instruction DVDs and manuals to help you set up the table. If you’re unsure, ask help from the store before taking it home or visit the manufacturer’s website. If the product doesn’t come with a CD or DVD, you can try searching for YouTube videos for tips. The same goes for storage. If the unit is foldable, you have less to worry about. You just need to figure out the best way to snap it faster for your convenience. If not, you need to find a way to store the equipment so that it won’t take up precious space especially if you live in a small apartment. Some models feature height adjustment for those who have trouble fitting into the typical inversion tables. If other people would be using the equipment, it is better to have a wider range of height adjustability. An example of this is the Body Max IT6000 Inversion Therapy Table. This is often overlooked but must be considered one of the most important factors that make a good inversion table. You must be comfortable enough in it otherwise, you might not last more than two minutes. You would be using this often so it should also be hygienic and washable as much as possible. There are many health benefits in using an inversion table. There are some risks and dangers but to date, no serious injuries have been reported. It is still best to see a physical therapist for the best advice or a doctor. Make sure to read product reviews and watch videos for tips and tricks on how to use one properly.